There are 2 jetties at Mersing, Mersing Jetty at north of Mersing, and Tanjung Leman Jetty at south of Mersing. Mersing Jetty is the preferred staging point for the northern and eastern clusters of islands in Johor state, Malaysia. These include Pulau Besar, Pulau Tengah, Pulau Lawa, Pulau Aur and Pulau Pemanggil. On the other hand, Tanjung Leman Jetty is the preferred staging point to the southern clusters of island, namely Pulau Sibu Besar, Pulau Sibu Tengah and Pulau Tinggi. Similar to most of the island resorts, there are various exciting activities can be done here for island beaches goers. For example, Scuba Diving, Snorkeling, Volley Ball, Swimming, Jungle Trekking, Kayaking, Fishing trip etc.. 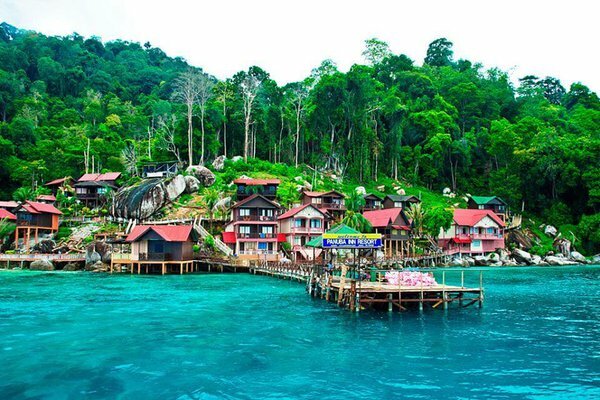 Located 12km from the mainland of Johor, Pulau Sibu is one of the many developed islands off East Coast of Johor. From the aerial view, the island looks like a bird or a bat resting with the wings outstretched. Its find white sand beaches lay glittering against the back-drop of its surrounding emerald green water, refining its coastal shores. The best way to go Pulau SIbu is by taking a boat ride from Tanjung Ketty Leman. The boat trip will take about 20 minutes. 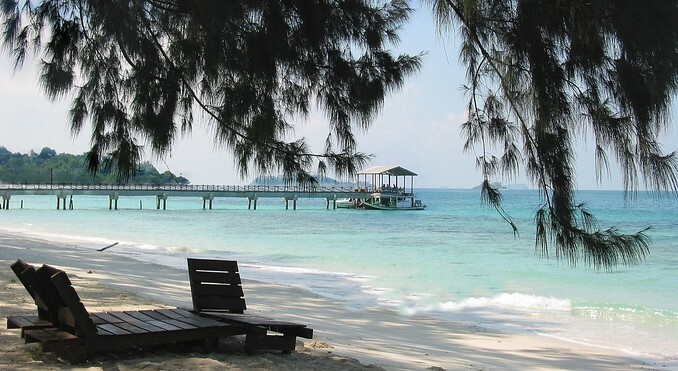 The best time to visit Pulau Sibu is between June to August each year when the weather is excellent, thus you can do all the water activities as your wish. In July each year, you may even have the rare chance of witnessing group of sea turtles crawling to the shore to lay their eggs. 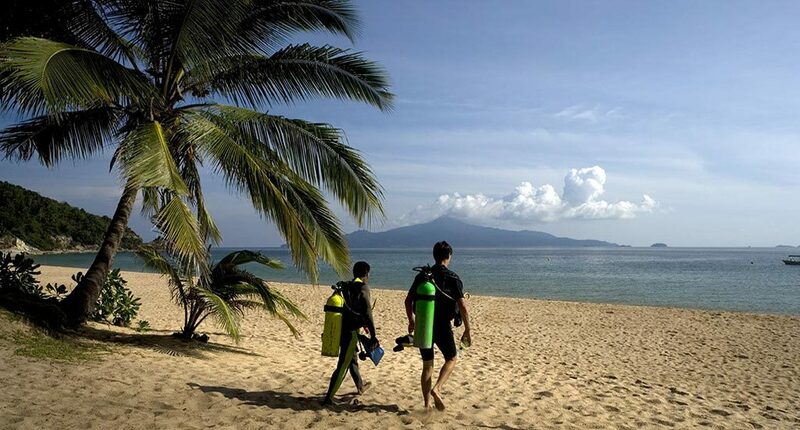 Lots of sea activities are available her to make you enjoy your vacation her to the fullest, such as snorkeling, windsurfing, scuba diving, sailing etc. You may visit the fisherman’s kelong, or jetty where anchovies are caught. If you want to escape from the beaches, you may go for a hiking through the jungle leading to the untouched mangrove swaps. Pulau AUR or AUR island , is located towards the east of Mersing, about 60 kilometers from the mainland. There are 3 islands surrounding Pulau AUR, namely Pulau Lang, Pulau Dayang and Pulau Pinang. The rich pelagic action has attracted many sport fishermen to here, hoping to try their luck with the marlins or sailfish outside the marine park island. About 4- 5 hours ride by boat from mainland Mersing Jett, Pulau Pemanggil is situated at the south of Pulau Tioman. However, it is not as famous as other more developed island like Pulau Sibu etc. Its boasts endless stretches of white sandy beaches and awesome snorkeling spot. Pulau Pemanggil has abundance of marine life within its clear emerald water, and it is the fisherman best-kept secret. It is well known for deep sea fishing and has good hunting ground for marlins – black ones if you are fortunate- and mackerels. Pulau Besar (literally means BIG in English), is the closest islands to the Malaysia Peninsula, with only 8km distance from Mersing. This will take you about 30 minutes of boat ride from Mersing Jetty. It is also one of the biggest island off the coast of Mersing. It’s proximity to the mainland draws throngs of visitors from the mainland to its stretch of white sandy beach and glistening blue waters. Pulau Besar has abundance of beautiful coral reefs and amazing marine life.This makes it a superb diving destination and a sheer delight for underwater photographers. 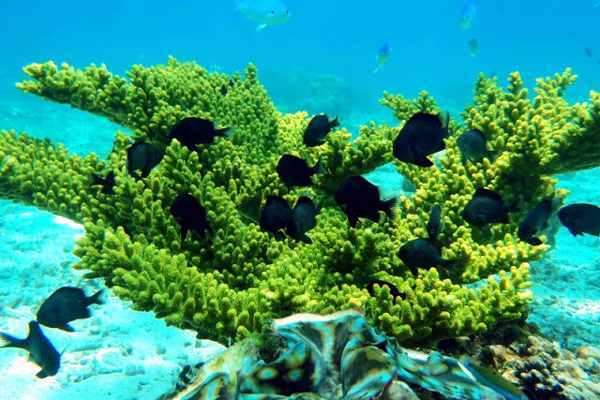 It is also a great place to enjoy snorkeling, windsurfing, canoeing, fishing and jungle trekking. To protect its pristine environment from human activities, the State Government has gazetted this island as a Marine Park.